WordPress is the place for the work and creativity of millions of people around the world. This fact opens huge opportunities not only for self-development, but also for earning money in the process of studying the WordPress environment. There are a lot of ways to make money on the WordPress platform. And most of them do not require deep knowledge or professional skills. However, if you already have at least minimal experience in web development, design or administration, then your skills will be highly appreciated by less experienced members of the community. Today we will list the most interesting and exciting ways to make money on the WordPress platform. All these methods are legal and none of them imply fraud or cheating. You can use your knowledge and skills for the benefit of less experienced WordPress administrators. This will not only help beginners with the start, but will also allow you to feel the real benefit from the experience gained. If you feel that any of the methods suggested in this list is too complicated for you, then you can start with other items. However, you should always keep in mind the most interesting ways of developing your skills, in order not only to earn a living, but also to start dealing professionally with the business that you most like. Most website owners tend to consider WordPress platform as a cheap tool to build and customize web projects. We have already debunked this and other myths about WordPress but there is still a great opportunity for enterprise level web project that we did not mentioned and reviewed. We are now talking about WordPress VIP. VIP (Very Important Person) relates to any sphere of products and services of a unique quality level. WordPress VIP is not an exception. This project is created especially for big web projects with extended budgets. What features does WordPress VIP actually have, how much does it cost and for whom specifically is it interesting — we will tell in this short overview article. The information will be useful not only for large projects but also for developing ones to estimate their future goals and ways of achieving them. User Interface (or shortly UI) relates to every element of your WordPress website with which a user interacts. On the other hand, User Interface is a common term that describes an overall opinion and impression of a use about your whole project, its features and how they correlate with user`s demands. User Interface is usually created by professional web designers but owners of smaller WordPress projects should know the main features and trends of modern UI as they need to deal with the web design of their websites by themselves. It is anyway important and interesting sphere of knowledge which every person connected with web development should be aware of. UI design changes through time as every part of the web development industry. We have gathered the most interesting and trending facts about the modern UI design in this article. Do not miss the opportunity to stay in touch with the latest trends and evolve your WordPress project in accordance with them. Video has long consolidated its position as one of the most effective marketing tools of our time. Owners of WordPress sites and blogs can not ignore the overall trend, which dictates the availability of video in the marketing strategy of any serious internet project (even if it is not commercial). The most popular video service of the world – YouTube – already has more than 1 billion subscribers. Every month, internet users download a number of videos that exceeds the amount of content produced by television from the early 70s of the 20th century. And more than 50% of all internet users watch the video daily. It would be extremely unreasonable to ignore such a huge audience with an impressive level of involvement in video content. However, not all videos are equally useful for the development of your WordPress site or for brand promotion. A huge amount of content means more competition in the video marketing. So today we need to not just shoot a video, but to stand out in a qualitative way to attract the attention of users. Today we will talk about the main trends of video marketing in 2017. These trends will help you to develop your WordPress site or blog in accordance with the wishes of a potential audience not only this year, but also in the next few. So, fasten your seat belts, we are departing to the amazing world of video blogging right now! WordPress community is one of the largest and fastest growing on the internet. A free space for website development, design and content is an excellent driving force for the inspiration and work of millions of people around the world. 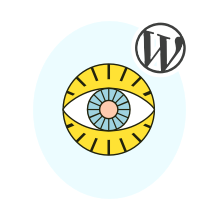 Most internet users see the WordPress platform from two perspectives: through the prism of regular visitors of WordPress sites and blogs or as WordPress administrators who create and support the work of such sites. However, today there is a large community of people who stand outside these two groups. People from this third group are engaged in professional activities in the field of WordPress administration, development, design or content-writing. WordPress offers interesting and promising prospects for employment as a web developer, designer or copywriter who work exactly within the WordPress platform. On the one hand, this may seem like an artificial restriction for one’s own development – why not engage in professional activities for all kinds of sites? But experienced IT professionals know that honed skills in a narrow profile are much more valuable than general knowledge. In addition, the WordPress community can not be called a narrow circle of interests, because it consists of millions of users. If you are just starting your career in IT or are thinking about switching to it, then you should definitely consider working with WordPress. For beginners WordPress developers, designers, copywriters and administrators, we have prepared a list of the top 9 sites to find a job within the WordPress platform. Choose a convenient service for yourself and dive into the exciting life of WordPress community together with us! The owner of any WordPress site wants users to remain on the pages of his internet project as long as possible. This desire can be justified by various reasons — from the wish to share interesting information to the desire of selling goods or services through a web site. However, not all WordPress site owners know how they can affect the amount of time visitors spend on their site. Today we will talk about the goals of increasing the duration of the users session on your site and how to achieve this result. We will look at the simplest but most effective methods that will not require a WordPress administrator to have special knowledge or skills. In addition, you will learn how to quickly evaluate the results of work to increase the duration of the users presence on the site. The first months of 2017 are behind us and now is the time to look into the future and assess current trends of 2017. Any WordPress Site administrator must always look towards the future to keep up with the new trends of design, user interface and content delivery style for his or her readers. It is impossible to list the number of current trends completely within a single review. In addition, trends tend to be complemented and change over time. At the moment, we consider the most important and interesting trends that will definitely affect the development of WordPress sites during the current year. Some of the trends that we will now consider, are already used by leading projects and WordPress sites on other platforms. If you already use at least half of the trends listed here, then your project is clearly on the right way to success. If all of the following will be a novelty for you, then you still have time to implement all these methods. Usability is the key to keep your site visitors` attention. Usability determines the degree of comfort for users of the site on the WordPress platform and their chances to return to the pages of your web project. Of course, usability is not the only important part of your website or blog, but one can not develop any project without it. Today we will talk about the basic methods of improving the usability of any WordPress site. The science of usability is much deeper than it may seem at first glance. But you can acquire the comprehensive knowledge about it only gradually, along with the acquisition of site management and experience on WordPress. So we start with the simple tips that can be applied even by novice website owners on WordPress site platform. On the other hand, if you are an experienced administrator, but have not yet been taken these steps to improve usability of your site, then moving on does not make sense. Check how much does your internet project comply with the requirements and parameters, which we present below. Experienced website owners on WordPress know how important it is to segment the audience of readers. This way you can provide the best content for each group of visitors and the better involvement for them in the commentary of interesting entries on the website or blog. One tested method to segment the audience on WordPress website is to create a custom menu to show it only for the logged in users. In addition, this tool allows you to further motivate users to register on your site to see the hidden pages. In this Quick Tip article we will analyze in detail how to quickly create a custom menu, which you will be able to show only for the logged in users of your site. To be effective, you need a premium WordPress plugin called Superfly. WordPress does not display ID of any page, post, category or tag on your Dashboard by default. ID may be required when you write your own code to customize a particular theme or plugin (or create them from scratch). Today we share with you a simple and obvious way to find the ID for any page, post, category or tag on WordPress. This method does not assume installation of any additional plugins or extensions for WordPress and is based solely on default features of modern browsers. Facebook has already overcome the simple status of a platform for communication and entertainment. Today, this social network is a powerful tool for marketing and sales for participants from around the world. The first of these features has been ensured by the Facebook administration, which has provided its users with special tools for conducting business and measuring the parameters of its success. Thus, with the help of Facebook, you get advertising platform with huge opportunities for analytics. Facebook audience has already exceeded 1.7 million. But this social network is constantly improving and changing. So if you want to grow with it, then you need to constantly keep abreast of events. Where to get started on Facebook and how to effectively synchronize it with your site or blog on WordPress? In this article, we will examine the most simple and effective ways to attract an audience of Facebook to your website and vice versa. Using these two tools simultaneously can give amazing results to increase audience awareness of your brand or your person. Also we recommend you to read the article, which contains general tips on creating a successful advertising campaign in social networks. You have already started the project in WordPress platform and you are proud with the completed work? Of course, you have already passed the most difficult stage in the life of your internet project. Nevertheless, its life has just begun, and it means that a large layer of work is still ahead. Now you are looking forward to an exciting journey in the world of SEO, where the party is ruled by Google. Do not be afraid of the big difficulties, because WordPress and Google provide their customers with a friendly interface and comprehensive assistance in the form of various manuals. But where to start your journey to success in a good position in the search results? How not to make a mistake at the first corner and make the Google indexing of your site fast and painless? This will be discussed in detail in this article. People are more connected to the web than ever before. In the year 2000 there were approximately 17 million websites on the net. Today there are over 1 billion websites up and counting. The way people access the internet has changed the landscape of the web. With billions people using mobile phones to connect it’s important to have a mobile friendly website. Social interaction is a dominant force that drives behavior. Many people look to others to help them make daily choices like who to vote for, what hygiene products to use, which websites to visit, what to wear etc. Trends, memes, fads and movements all shift based on popular opinion. Using other peoples’ preferences to determine which course of action to take is known as social proof. This phenomenon has led to the adoption of widespread cultural movements as well as short-lived one hit wonders such as bagel head or breading cats. Making money online isn’t easy at first. It can be difficult but once you find your bearings it can be very fruitful. One of the most attractive things about generating revenue online is that the costs involved are fewer than doing it offline. The main things you need are time, effort and patience. The hidden cost of earning money online is hours of time spent developing your strategy. As a WordPress blogger, there are a couple ways you can make money off your self-hosted blog. There are many plugins that can help you manage your advertisements and get them seen. Every year business owners hope to get their page on the top of the best SERPs. The guidelines for a winning SEO strategy has changed dramatically over the past five years. Experts are always coming out with new tips on how to increase your search engine presence and maximize returns on your investment. The world of web design is still catching up to the breakneck speed of technological evolution. Software innovations and design trends have already conquered the problem of cross-platform compatibility (for the most part). Ever since website design has been slowly adjusting to the needs of users everywhere. In 2014 we saw the rise and fall of many different trends. We learned things like HTML5/CSS3 are still dominant, mobile-first will continue to grow, and minimalistic layouts are here to stay. Now that we approach the end of 2015 we have seen the rise and fall of even more trends. In 2015 we have also seen of certain staples and like flat design, responsive design and the use of high quality images become solidified. This article will discuss 8 WordPress website trends that have established themselves after the dusted has settled. Finding innovative ways to get your work done isn’t always easy. The only true way to find your groove is to start doing things and refine your solution. After all, necessity is the mother of invention. One of the biggest advantages a designer can have is access to the right resources. No matter how good you are, you can’t do it all alone. For beginners and experienced web designers alike it’s important to always look for better tools to develop your craft. Nowadays any 6 year old can tell you what Facebook, Instagram or Twitter is. Today’s workforce grew up alongside the modern web. They are expert users who intuitively navigate the internet having been connected the majority of their lives. Just about everyone is on some sort of social media platform for shopping, dating, sharing, connecting with friends or networking. We all know that social media has had a tremendous value and impact in modern society. Just how valuable is it? And how can you leverage social media to help gain more visibility? Social media sites connect people that share common interests. Since the advent of social sharing sites, many causes have been won and addressed thanks to grassroots campaigns that started with nothing more than a single Facebook page. Many of today’s largest global political and social movements such as the Arab Spring can be largely attributed power of sharing through social media. Facebook alone has transformed from a place to connect with friends into an all-purpose boon to find jobs, advertise products, and push political agendas among other things. Juggernauts like Facebook and Twitter are here to stay so it’s important that you understand how to leverage these powerful marketing channels.